A building inspector falls while inspecting a roof and is unable to continue inspections. In the past, this meant hiring a new worker while the inspector recovered. Now, an investment of a few hundred to a couple thousand dollars for a drone means that part of the job can be done from the safety of the ground. A worker on a golf course suddenly needs a tool or part that is back in maintenance shed over a mile away. In the past, this meant trekking back for supplies. Now with a quick call to base, a drone can be loaded up and deliver what is needed. Eventually, autonomous drones will be able to bring it back alone. The worker can keep working instead of diverting back to base. 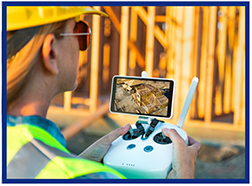 Drones have been used in agriculture, real estate and aerial photography for years but now commercial drone use is exploding since the FAA relaxed the requirements in 2016. Travelers is now offering drone coverage for Small Commercial and has created a FAQ sheet and a Question Guide to help you sell coverage to your clients. Travelers Select provides a complete range of coverage solutions and services for business, spanning the entire breadth of the small commercial marketplace. Products and services include all core commercial insurance lines, featuring the industry-leading Master PacSM and Pac PlusSM products, commercial auto, workers compensation, property, general liability and umbrella. They also offers a variety of specialty coverages, including boiler and machinery, inland marine, crime and electronic data processing. If you have any questions about Travelers or the Small Commercial product, please contact Big "I" Markets Commercial Underwriter Tom Spires at claire.mccormack@iiaba.net. Your agency E&O coverage needs to match your type of operation. Swiss Re Corporate Solutions and the Big "I" have a program that will fit! We cover one person... or an Alliance Group! Are you a staff of 1? Or 100? Our Big "I" endorsed E&O program offers broad protection from "one-man" shops up to those with over 100 staff. We are stable, established, competitive, and have the top claims team available. Construction that allows for group pricing and underwriting, yet provides each affiliated agency certificate holder the ability to choose individual limits and deductibles (no sharing of limits). Uniformity of coverage. The master agency and each affiliated agency is covered by broad coverage form, underwritten by a long-standing E&O carrier with unmatched credentials. All parties are represented by claim counsel with long-standing experience in handling E&O claims. No finger-pointing at claim time or arguments among carriers about circumstances or which policy should pay. For 25 years, the Big "I" Professional Liability Program underwritten by Westport Insurance Corporation, a member of Swiss Re Corporate Solutions (rated A+ Superior by A.M. Best), has been the premiere choice of IIABA member agents for insurance agents and brokers E&O insurance. Let us find an E&O program that gives you peace of mind! Contact your Big "I" state program manager to learn more. In the midst of the holiday season it pays to take a few precautions whether hosting a small or large party or celebration. 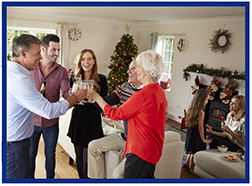 AIG has put together a list of tips for entertaining safely that you can share with your clients. Whether hosting a birthday party or a charity gala, organizing a successful event requires looking beyond the festivities your guests will enjoy. To lessen the likelihood of accidents or injuries, incorporate the following steps into your planning process. Obtain a signed contract documenting the function or service that the each vendor will provide. Ensure via physical documentation to confirm that each vendor is licensed and bonded, if applicable. Vendors must be insured (general liability, auto, workers compensation, etc.) with appropriate coverages depending on their service. Make sure that vendors are adequately supervised. A responsible representative of each vendor should be on site at all times that their personnel are present. Create written property rules/non-disclosure agreement (NDA) to be signed by vendors that identify expected behavior. For example, you may want to designate certain "no-go" areas on your property or prohibit photos. Why it matters: In the event of problems caused by your vendors (faulty lighting, food poisoning, a disruptive employee, etc. ), you could be held responsible if underlying coverage is not in place. Ensure that all walkways and stairs are clear of obstacles and in good condition. Immediately before the event, and during the event if necessary, walkways should be cleared of snow, ice, wet leaves, moss, or anything slippery. Maintain adequate lighting in high traffic areas. Consider placing rugs or other covering on polished floors in order to prevent slipping. Remind guests to watch their step around staircases and other changes in surface elevation. A staff member or sign can be posted in hazardous areas to alert guests of the elevation change. Why it matters: Slip and fall incidents can injure guests, disrupt the event and potentially lead to legal action against the homeowner. However, they often can be avoided if simple preventative measures are followed. Designate or hire a responsible bartender to help monitor alcohol consumption, and instruct the bartender(s) to stop serving anyone who appears to have consumed too much. Consider hiring a bartender who has a state Professional Server Certification/Bartender Certification Training. Consider offering alternate transportation for guests. Keep a lock on your wine cellar, and ensure that guests to do not have direct access to bottles. If you are serving wine from your personal collection, ensure that bartending staff have clear instructions on what you want (and don't want) poured. Why it matters: Laws vary widely, but in some states a homeowner can be sued for "social host negligence" if an intoxicated guest leaves the event and causes an accident or injury. Supply safety equipment, such as life jackets or bike helmets, if it's required for an activity. If that is not feasible, instruct guests to bring their own equipment. Have basic medical first-aid equipment on hand to treat minor injuries. Use professionals when it's appropriate. For example, if the event involves swimming, have a certified lifeguard on duty. Even if your guests are very skilled, it is best to have a nonparticipant on hand to oversee the activity. Ensure that activities are allowed by your local jurisdiction. Obtain the proper permits to avoid the risk of incurring fines or having the event shut down by local authorities. Why it matters: It's an unfortunate fact that accidents happen. While many incidents can be prevented with proper safety protocols, those that can't be avoided can lead to catastrophic injury as well as costly liability claims. Determine if any zoning restrictions are in place and obtain permits if required. If you plan to have guests park along the street, obtain permission from local government, your community association (if applicable) and neighbors. For large events, consider offering valet parking or a remote lot with transportation to the event. Ensure there is adequate lighting in the driveway and parking areas. Why it matters: A good parking experience can set the stage for a well-organized and enjoyable event. One host learned the hard way after many guests' vehicles were towed, causing an unneeded disruption and thousands of dollars in towing and recovery fees. Be mindful of media exposure. It is wise to be aware of what photographs are taken of your home, how they will be used and where they might be distributed. Block off any parts of your home that you consider private and not part of the party venue. Don't assume that visitors will respect your privacy. Securely lock up guns or other weapons that are in your home. Even objects on display should be secured if they will draw attention and can be accessed. If not part of the entertainment, put away nuisance attractions such as dirt bikes, ATVs, skateboards or anything else that guests may be tempted to try without the necessary skills or experience. Lock up valuables in a secure safe or consider temporarily moving them to a bank vault or other secure storage. Also consider moving fragile items (décor, artwork) out of high-traffic areas. Implement and enforce a guest list to deter "party crashers" from attempting to blend in with invited guests for the purpose of causing trouble, free-loading or stealing personal property. Unless they are specifically part of the entertainment, all pets should be separated from the event. Guests may be afraid of certain pets or suffer from allergies. All animals, regardless of how docile, can lash out unexpectedly if they feel threatened. If small children are present, make sure that adequate staff is assigned to closely monitor them and all access points to lakes, pools, whirlpools or other water features. AIG's Private Client Program is available to registered Big "I" Markets agents in all states. 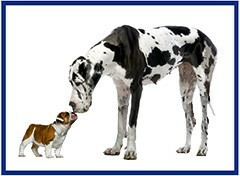 Congo line over to Big "I" Markets and click on Affluent Program-New Business to learn more! Congratulations to our agent in Georgia on an Auto & Home Standard Markets (formerly Eagle Express) sale of $6,982 in premium!